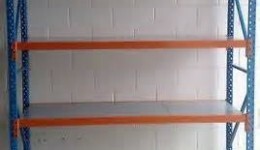 Our pallet racking is of the highest quality and exceeds AS-4084-2012 standards and comes in an attractive configuration of pre-gal uprights and paired with orange beams. capacity per bay is 9000kg. all prices are exclusive of gst. 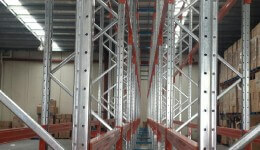 For Pallet Racking Sydney needs to look no further than Sky Rac. For years, pallet racking has been a popular industrial storage standby, a shelving solution used often to maximise the space in warehouses and other similar buildings. 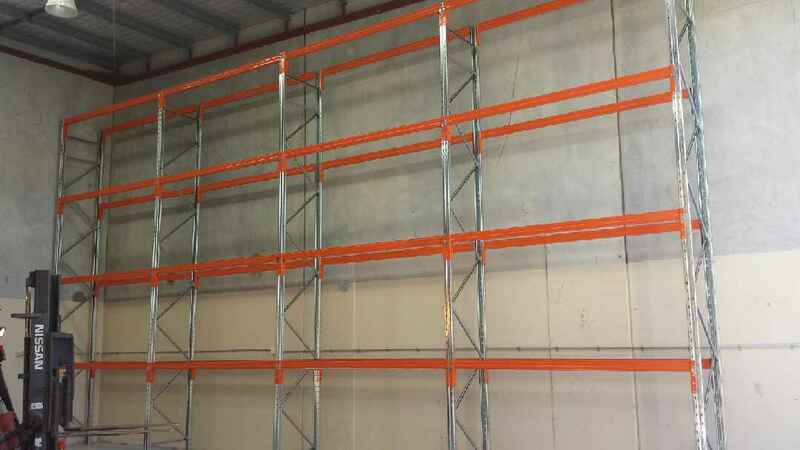 At Sky Rac, we offer some of the most affordable and dependable pallet racking you will find in Sydney – or indeed, throughout NSW as a whole. 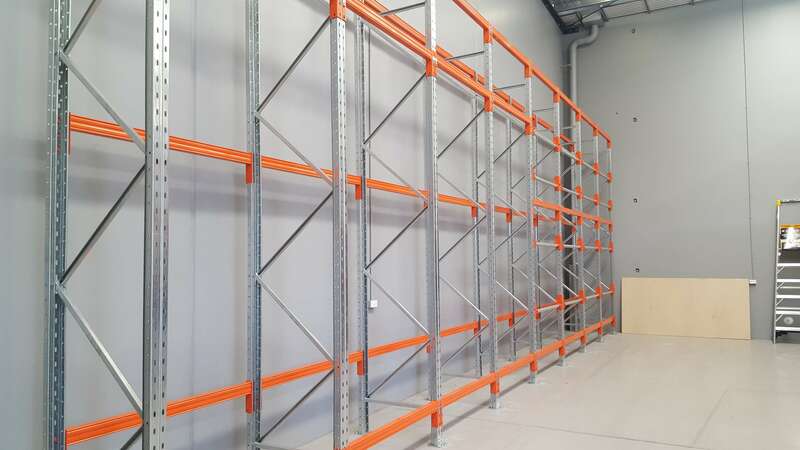 Available in a variety of different heights, dimensions and weight-bearing capacities, our pallet racks are ideal for virtually any large-scale storage application. How can you know that you can count on Sky Rac’s pallet racking solutions – especially if are looking to store particularly heavy loads? After all, you don’t want to learn the hard way that your shelves aren’t stable. 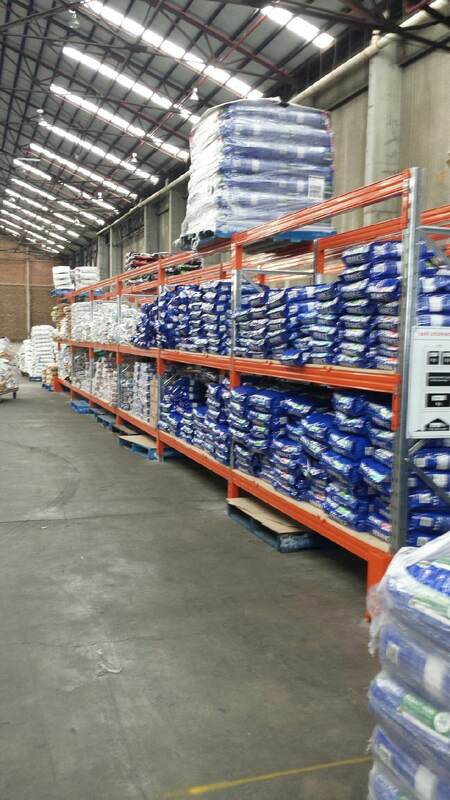 Luckily, when you work with Sky Rac for pallet racking in NSW, you never have to worry about your shelving unit collapsing (or about the worker injuries or property damage that such an incident could cause). We have made sure that each and every pallet rack we sell has been tested and certified to meet the standards set by the Australian government. In this case, our pallet racking is completely up to AS-4084-2012 standards. That means it’s durable and safe – heavy duty enough to hold even the heaviest loads, and well built enough to stand the test of time. In other words, when you’re investing in Sky Rac’s Sydney pallet racking solutions, you are also investing in your own peace of mind. 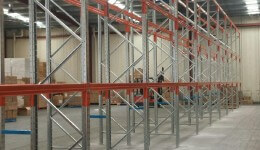 Have we convinced you that Sky Rac’s pallet racking in Sydney, NSW is worth a closer look? If so, why not take a look at the rack sizing chart on our website, to get a better idea of just how versatile our products can be? Indeed, at Sky Rac, we have always been dedicated to offering our customers as many choices as possible. That commitment is alive and well in our pallet rack selection: those with modest storage needs can get a 2591mm x 100mm unit for as little as $222, while the measurements and prices increase from there. 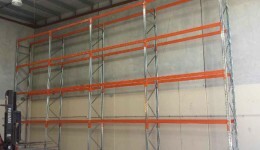 Dozens of different shelf sizes and configurations are available, with the goal of helping you find precisely the size and shape you require for your pallet racking needs. 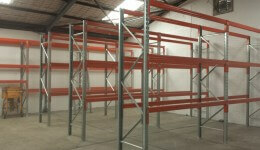 If all the numbers and specifications in the Sydney pallet racking chart confuse you, have no fear! It’s always difficult to envision what a pallet rack will look like in your space, especially if you are just working from numbers. Luckily, our sales representatives are experts on this subject, and can help you advise you on which pallet racking unit is right for you. And once you are ready to make a purchase, the same sales representative who helped you pick out your shelving rack will take you through every stage of your transaction. One point of contact: easy and simple. 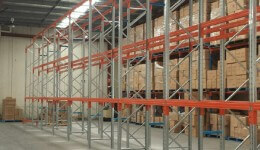 Contact us today to begin your search for pallet racking in NSW. We can be reached online, at www.skyrac.com.au, or over the phone at 0416 150 007. 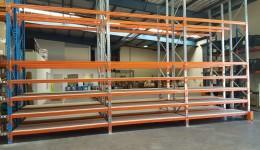 Looking for the most versatile shelving systems in Sydney, NSW? Look no further than Sky Rac! 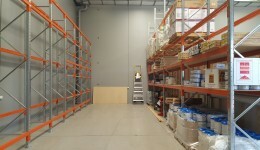 With our mix of long span shelving and pallet racking systems, you will be able to design the perfect storage solution for any situation. 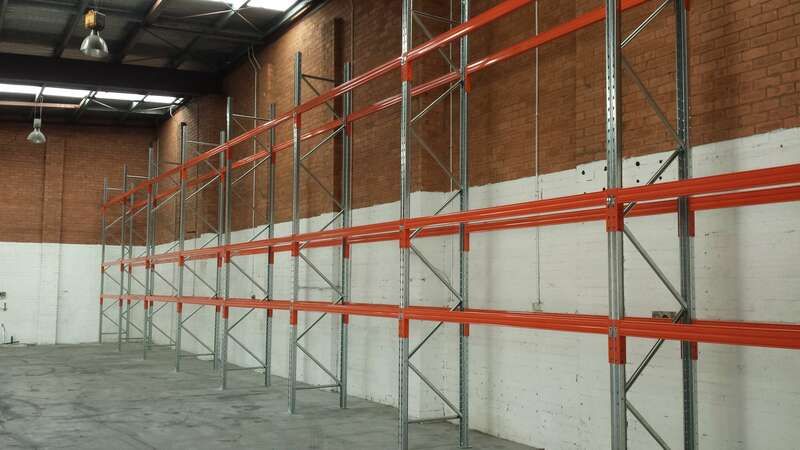 Whether you are after a home shelving unit, or looking for warehouse racking systems for your commercial or industrial operation in Sydney, Sky Rac can help! 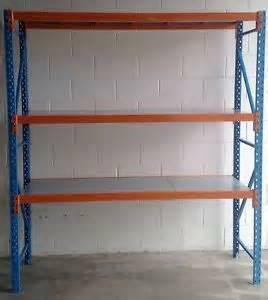 If you are designing a shelving system for your home, your office building or your garage, then long span shelving is the way to go. This versatile product is one of Sky Rac’s top sellers. It features an attractive light grey finish and comes in a variety of different heights, lengths and depths, so that you can get a storage solution that is stylish and functional at the same time. Decked with either board or mesh, our long span is also very strong, so whether you are storing huge boxes or files or heavy product inventory, long span can handle the burden. 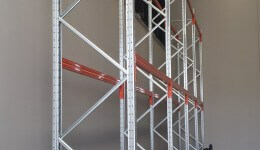 Sky Rac’s long span shelving isn’t just versatile in what kinds of things it can hold, but also in where it can go. In addition to coming in a variety of different sizes, long span shelving is also easily configured and reconfigured to fit a variety of new spaces. From wide-open rooms to small spaces like under-stair cupboards and narrow closets, long span shelving can be used just about anywhere. Bottom line, it’s the best all-round storage solution for home or office use – though it is still heavy duty enough to be used as a Sydney warehouse racking system! 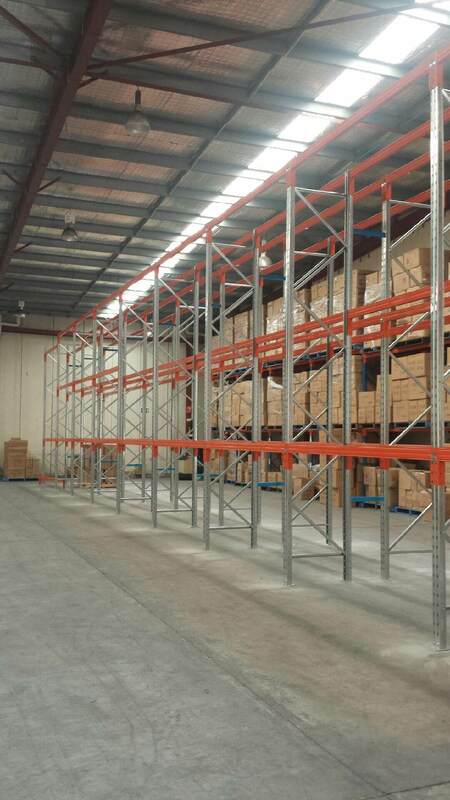 If you are searching specifically for a warehouse racking system in Sydney, though, you might want to opt for pallet racking instead of long span. 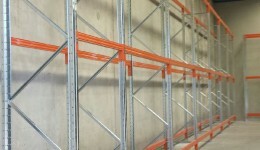 Pallet racking systems are used in warehouses around the world. 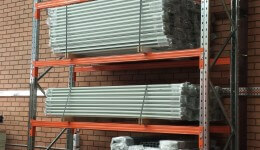 Like long span, Sky Rac has pallet racking available in a range of different lengths, depths and heights, so that you can put together the perfect storage solution for your unique space. 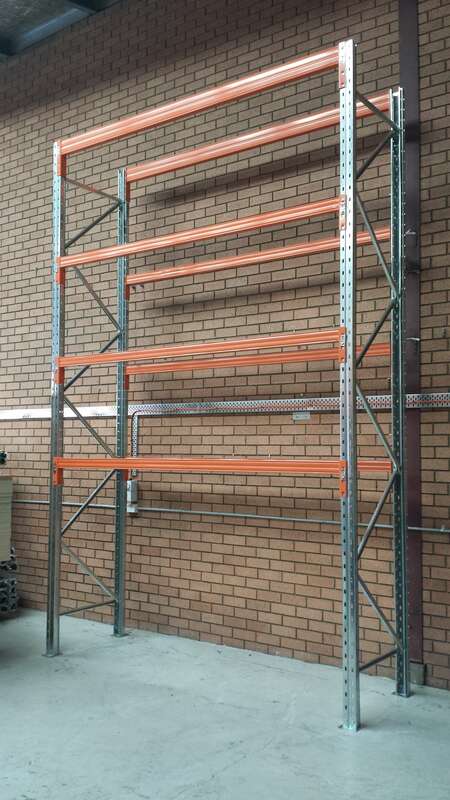 Also like long span shelving, Sky Rac’s pallet racking comes in an attractive design, with durable steel pre-gal uprights and orange beams. 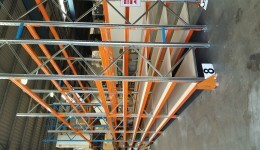 Pallet racking is perfect for floor-to-ceiling shelving arrangements. 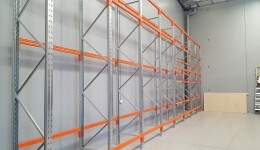 It’s designed so that items can be shelved or retrieved using a forklift, and is strong enough to shelve even the heaviest and largest assets. Suffice to say that, when it comes to storing industrial equipment and other large, heavy and cumbersome goods, pallet racking is the only option. 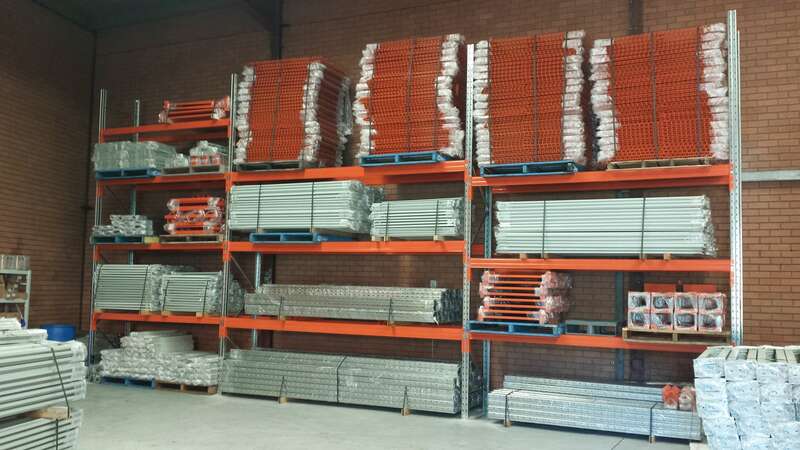 Whether you choose long span shelving or pallet racking for your home, office or warehouse racking systems in NSW, Sky Rac is the company to help you put together the perfect storage solution. 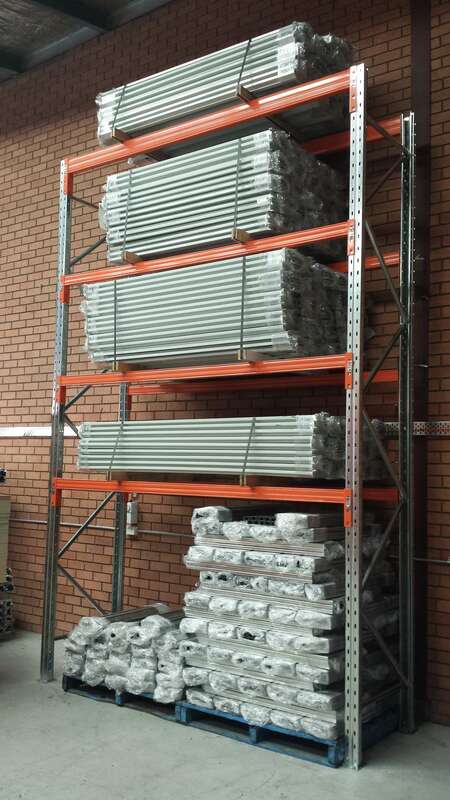 Not only do we have extensive stock of these shelving systems, in all different sizes and configurations, but everything in our store sells for wholesale prices. In other words, when you shop with us, you aren’t just getting the best product, but the best prices as well! 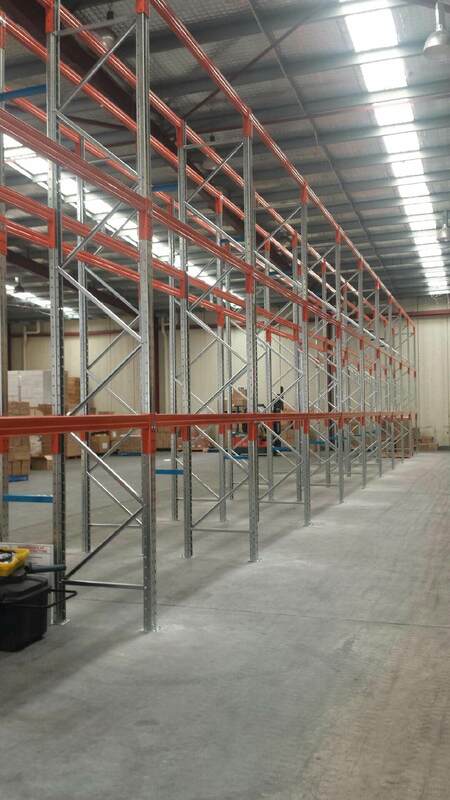 Looking to design a superior warehouse storage system for your business in Sydney? 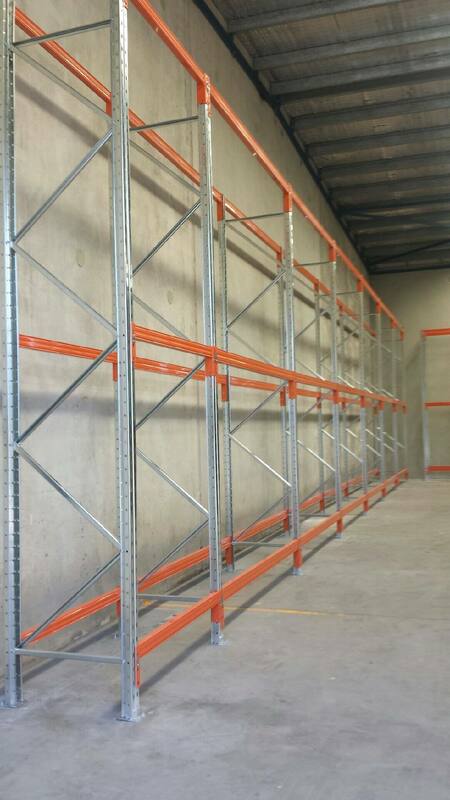 At Sky Rac, we specialise in warehouse shelving in NSW, helping businesses big and small to formulate a more stylish, efficient and space-conscious method for storing all of their stuff. It doesn’t matter if your storage space is devoted to heavy farming machinery or product inventory. With Sky Rac’s top-quality shelving units, you will be able to get more organised than ever before without spending a fortune. 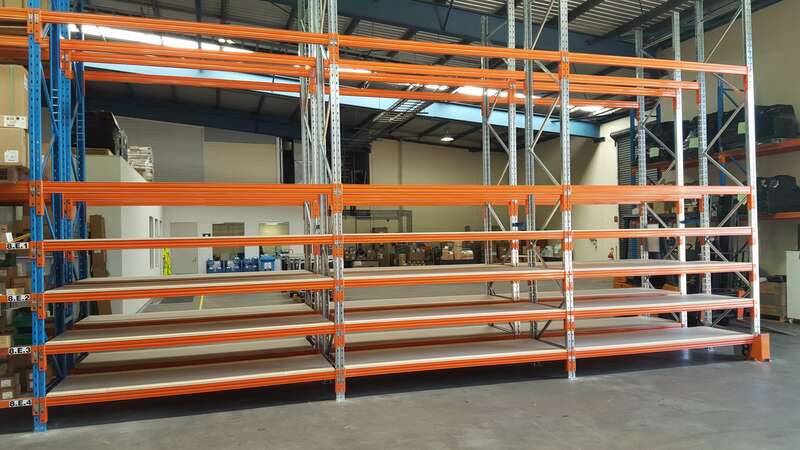 When you shop with Sky Rac for your Sydney warehouse shelving needs, chances are we are going to offer you one of two different shelving types: longspan or pallet racking. Understanding the different attributes that each type of shelving brings to the table will help you to decide which variety is best for you and your business. Longspan is a versatile and sturdy form of shelving that is perfect for saving space and for storing a wide variety of objects or inventories. 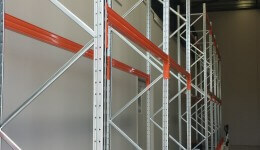 In most scenarios, longspan racking is more desirable for small to medium-sized product. 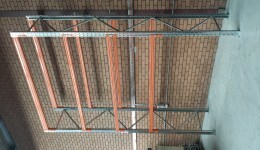 When using longspan, products are stored by hand – which has made it a common option for office storerooms, product warehouses and other similar applications. 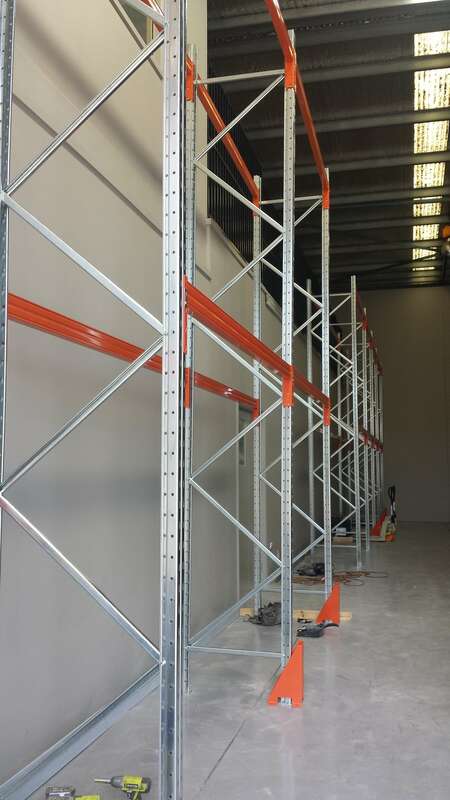 Easily assembled or disassembled, longspan racking is understandable a popular option for many companies looking for warehouse shelving in Sydney or throughout NSW. Pallet racking, on the other hand, is popular for use with larger, heavier loads. 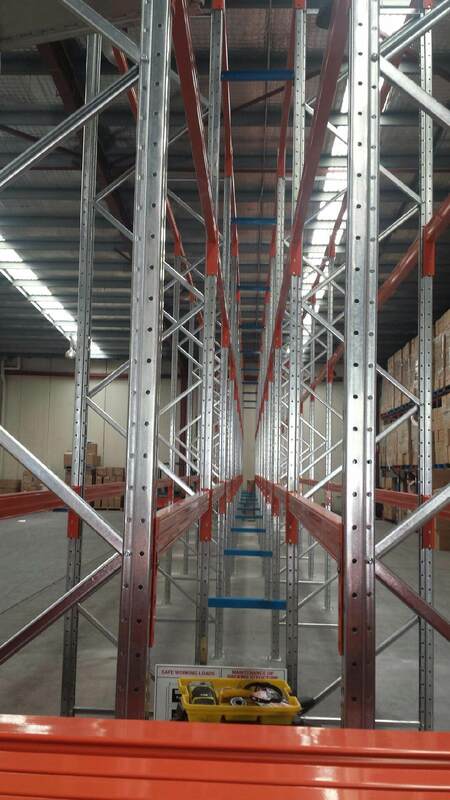 Where longspan racking is a manual or hand-loaded shelf type, pallet racking is often loaded or unloaded using forklift trucks or other machinery. 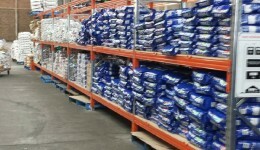 This allows for the shelves to be taller – a great for warehouse storage in Sydney, since it means that boxes and other loads can often be stacked all the way to the ceiling. 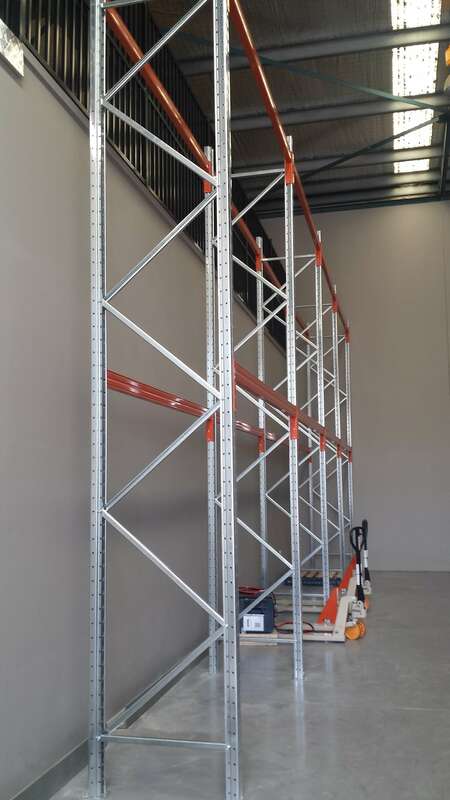 Regardless of which type of warehouse shelving you choose for your NSW business, you can rest assured that, in working with Sky Rac, you are getting the very best storage solutions on the market. We have a commitment to our customers that we take very seriously, and that means a number of different things. First, it means that every shelving product we offer – be it meant for warehouse use or ideal for home storage – is heavy duty and dependable. Every one of our products has met Australian regulations and is completely safe. Second, it means that we provide our customers with a slew of different options. 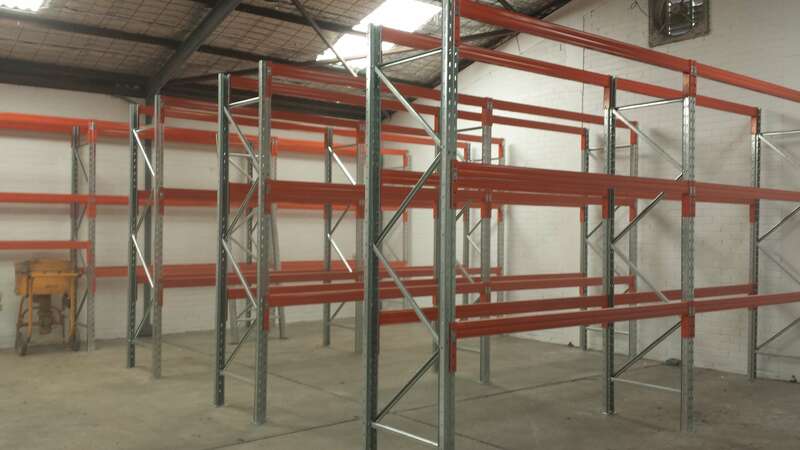 Both our pallet and longspan racking products are available in a broad range of different sizes, so that you can find the storage solution that perfectly fits your space. Finally, it means that we treat our customers fairly and respectfully. 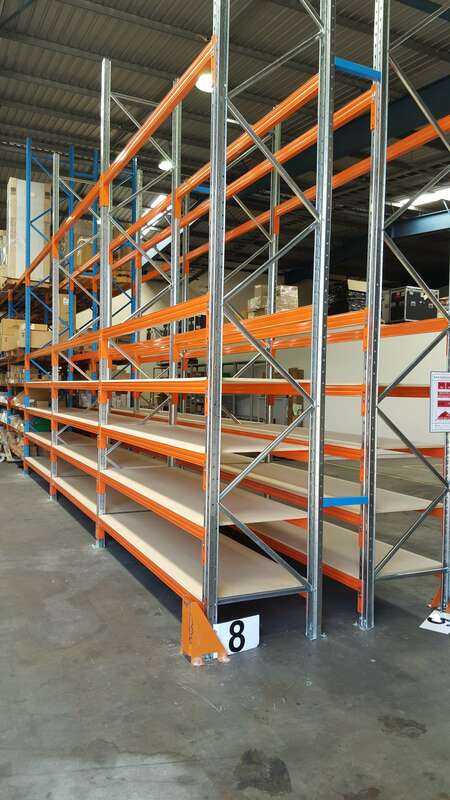 We sell all of our shelving units at wholesale rates, so that Australian businesses have a dependable and affordable option for storage solutions. Does Sky Rac’s commitment to customer service sound appealing to you? 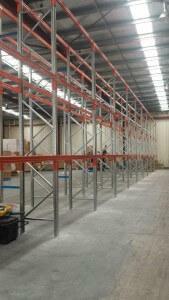 If so, contact us today and check out our Sydney selection of warehouse shelving!